Looks like the capital has a reason to rejoice as India’s first indigenous sports car- DC Avanti gets its first owner and Inderjeet Arora ( MD & CEO of Arocon Builders & Developers Pvt. Ltd), a resident of New Delhi is the first person to lay hands on the Indian built supercar. 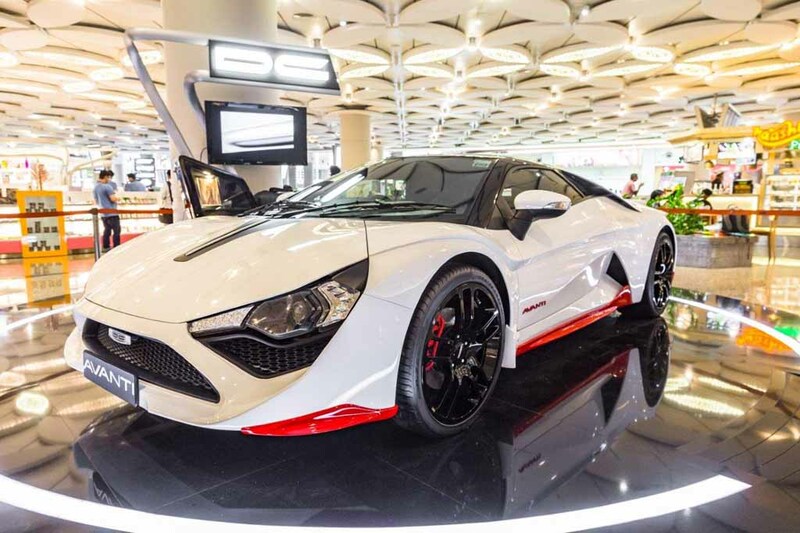 News of the deliveries commencing of the DC Avanti has widespread across the web and auto enthusiasts of the country to catch a glimpse of the Indian built indigenous super car in flesh. Priced at INR 35 Lakhs (ex. showroom), the car was first unveiled in concept prototype look at the 2012 Auto Expo, while the production-ready model made its presence at the 2014 Auto Expo. It indeed swung a lot of heads! The DC Avanti is built thoughtful of the Indian road and driving conditions, where a lot of our roads are limited to speed with few over the average bigger humps and bumps which do not bother the Avanti as it sits 155 mm above ground. Thanks to DC for a making a sports car that is 4,565mm in length, 2,120 mm in width and 1,200mm in height, which makes it higher than any sports car manufactured internationally. The Avanti uses a composite high steel chassis frame and carbon composite two door fastback body styling. DC’s sports car Avanti is powered by 2 litre Petrol Turbo engine sourced from Renault with a maximum power output of 250 bhp @ 5500 RPM and maximum torque of 340 NM @ 2750 to 5000, mated to a 6 speed manual transmission the Avanti sprints 100km/h in just 6 seconds, equaling many sports cars manufactured at international grades. The maximum speed of Avanti is electronically limited to 200 KMPH. The DC Avanti drives a rear mid-engine and rear wheel drive sitting on a Double WishBone suspension with a wheelbase of 2700 mm.The Indian sports car features a set of standard equipments like central locking, electronically adjustable ORVM’s, electronic power steering, power windows, 4 way manually adjustable seats, a glovebox, faux leather upholstery for seats. All well said and done, the DC Avanti is a desirable sports car. Thanks to DC for allowing an opportunity for folks to buy an affordable sports car.